Sarongs are popular garment especially for the Asian people. 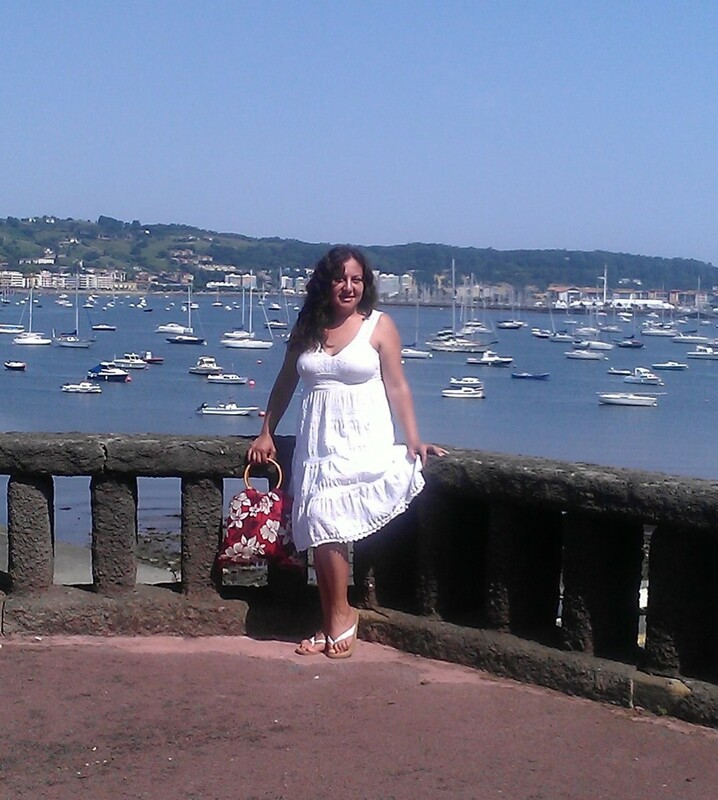 Images of yesteryear has shown women wearing sarongs and nothing else. It is still worn till now be it at home, as dance custom such as the Balinese dancers, paired with kebayas for more formal fuction. In addition, the sarong is also a multi purpose garments - a sofa throw maybe? Curtains, light blanket, baby hammocks, beachwear, table runner, wall hanging decoration, curtains, baby carrier. Well, the lists are endless. This lens is to showcase how a simple tube batik sarongs can be manipulated in various ways to make it into a fashionable must have beachwear. 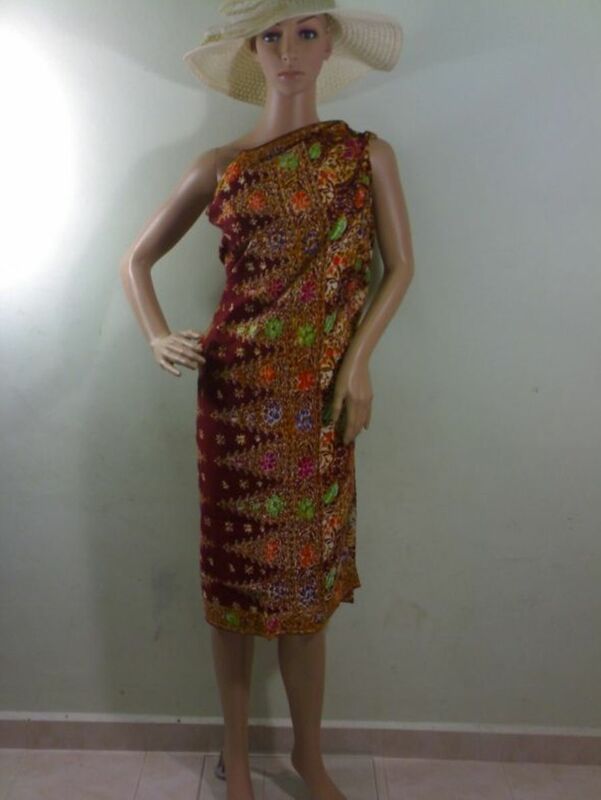 Pictured here is a beautiful handmade batik sarong from our store, www.BatikKaftanCrafts.com which are made using the hand block method by the batikers. 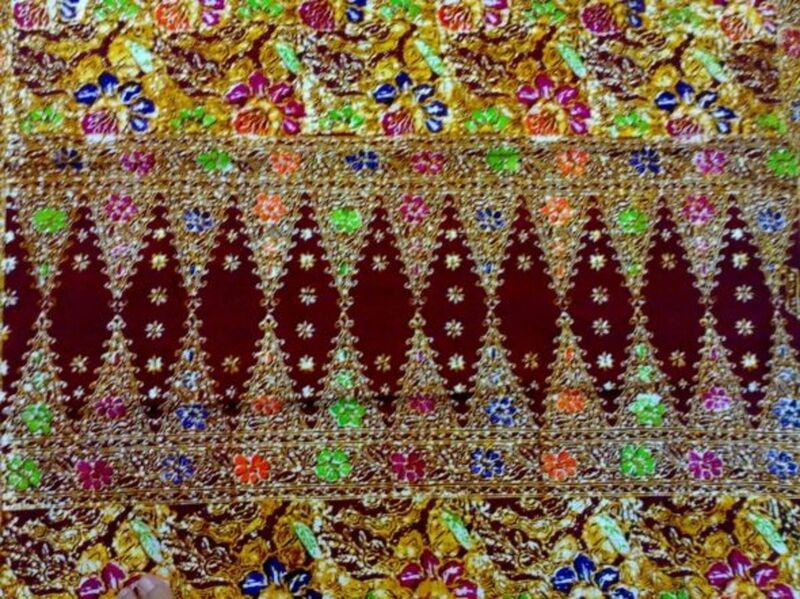 The multicolour of the batik is due to the 4 colour process by the batik-king process. This is how Malays from the early centuries had worn the Batik Sarong - just the sarong tied tube style at chest level & nothing else. 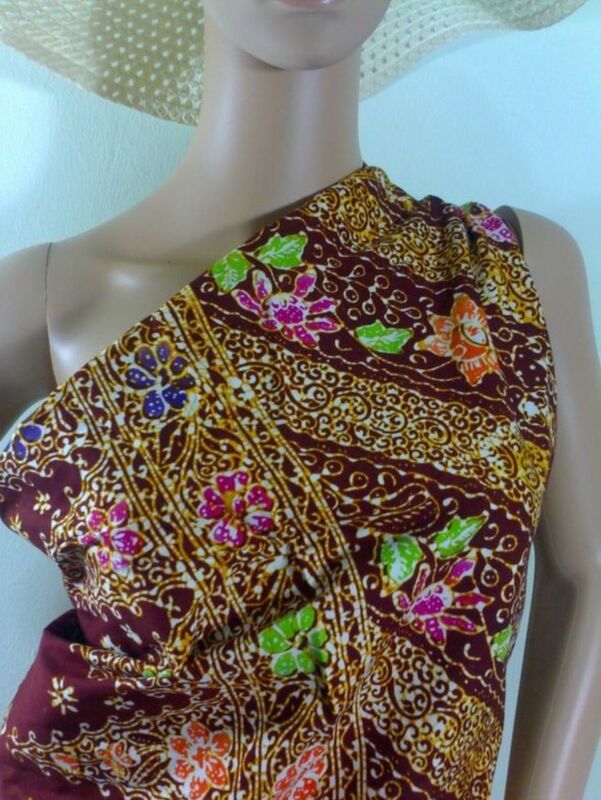 Only after the arrival of Islam, ladies had become more modest and worn the batik sarong at waist level, pairing loose blouse or kebayas to cover their upper bodies. For me, I quite like wearing the batik sarong this style fresh from the shower after a hot day at home. Cooling indeed! This is how we usually wear it when paired either with a comfy t-shirt at home or fancy lacy kebayas for special occasions. Here you can see the model fold the top of the sarong - it is usually to secure it. For me, I would prefer to just tuck the end edge of the sarong at waist level but I have to admit, I might sometime need to re-tuck it again from time to time. 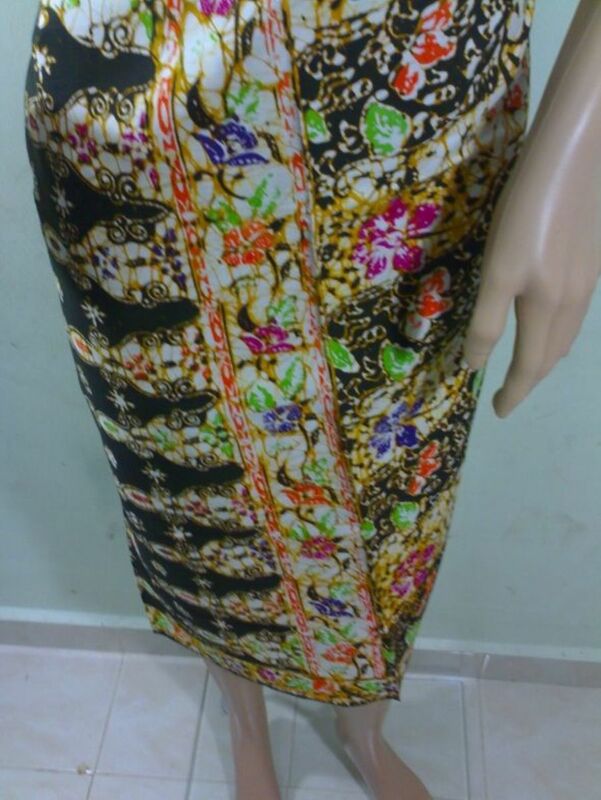 Another way of wearing the batik sarong as an alternative to Box Fold style. 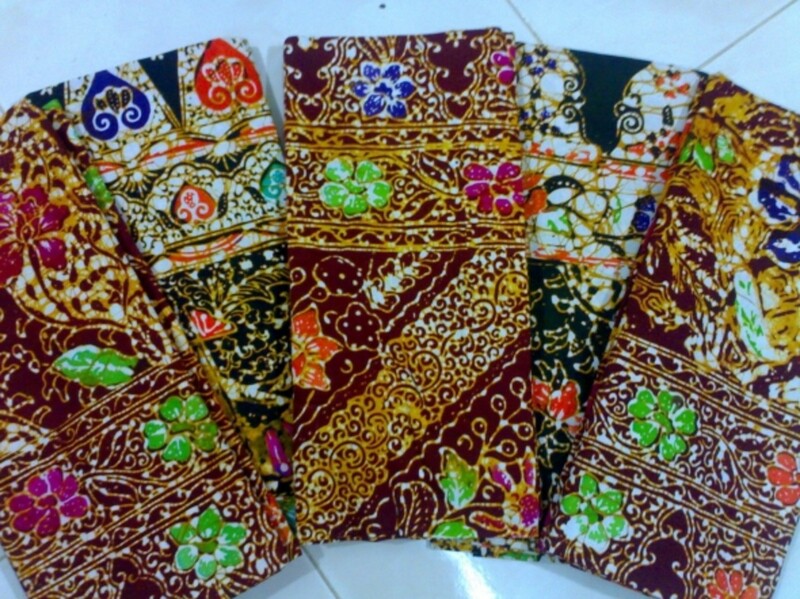 The same way of wearing this is also used by men wearing their Kain Pelikat, kind of Batik Sarong for men. 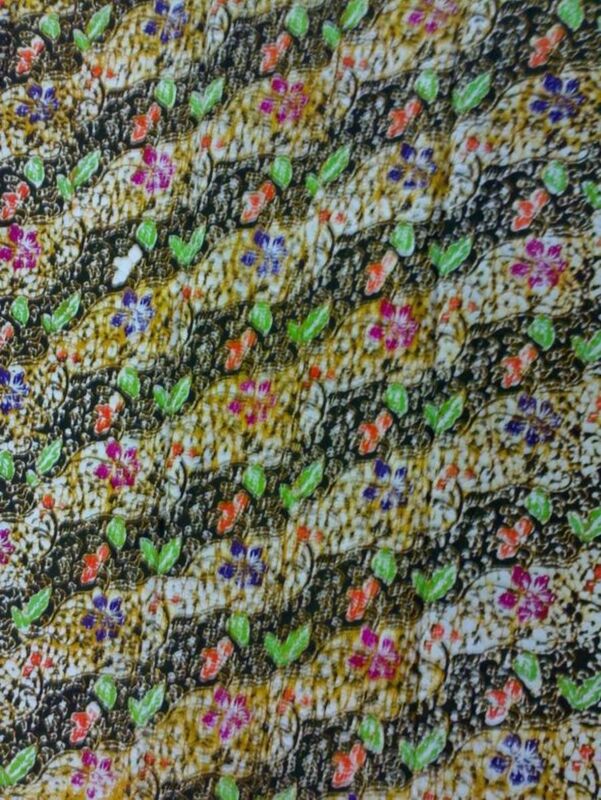 Kain Pelikat designs usually just solid colour with checkered or line patterns. Should you are bored with Tube Style Batik Sarong.. here's quite a cute demo in making the Batik Sarong into Off Shoulder or Toga Dress. 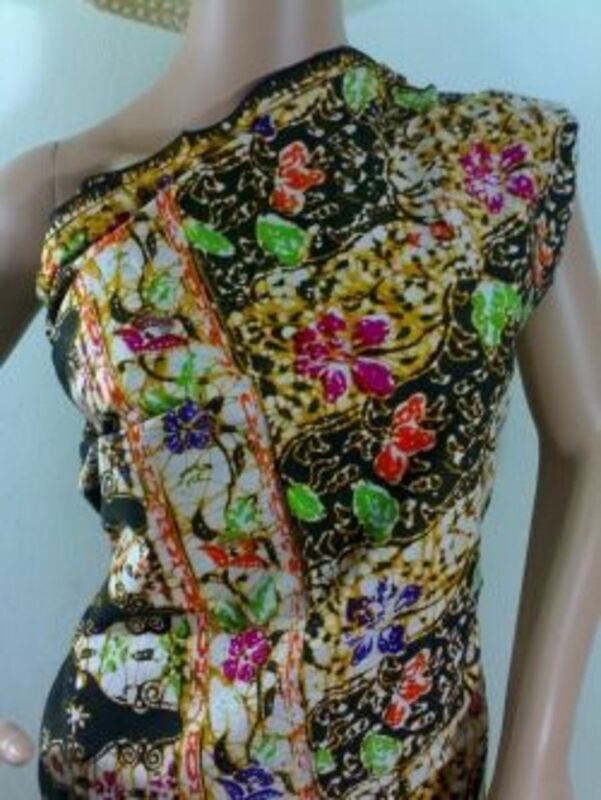 Another cute alternative into making the Batik Sarong an exotic Halter Neck Mini Dress. 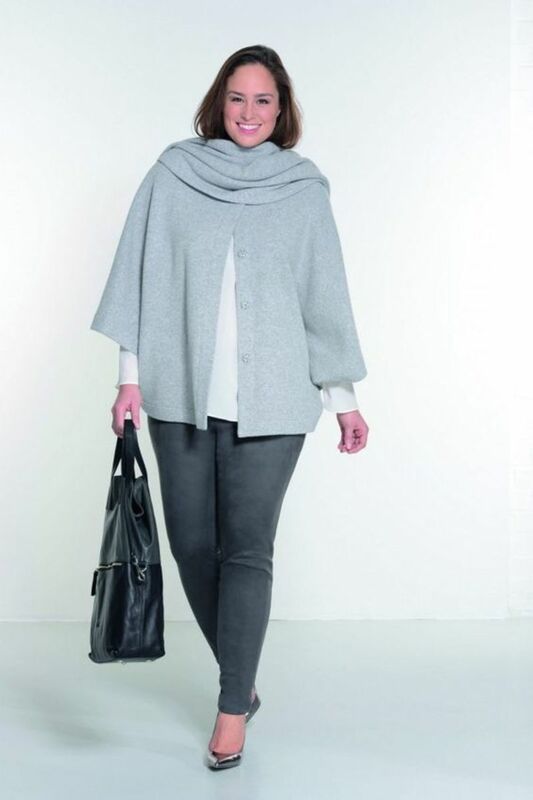 Pairing it with a narrow belt or classic chain belt would make this outfit an original. Here is one way of wearing the Batik Sarong that I really like. Perhaps in the summer, you would love to show off you toned tanned pair of beautiful legs, definitely short skirt Batik Sarong is a top option. 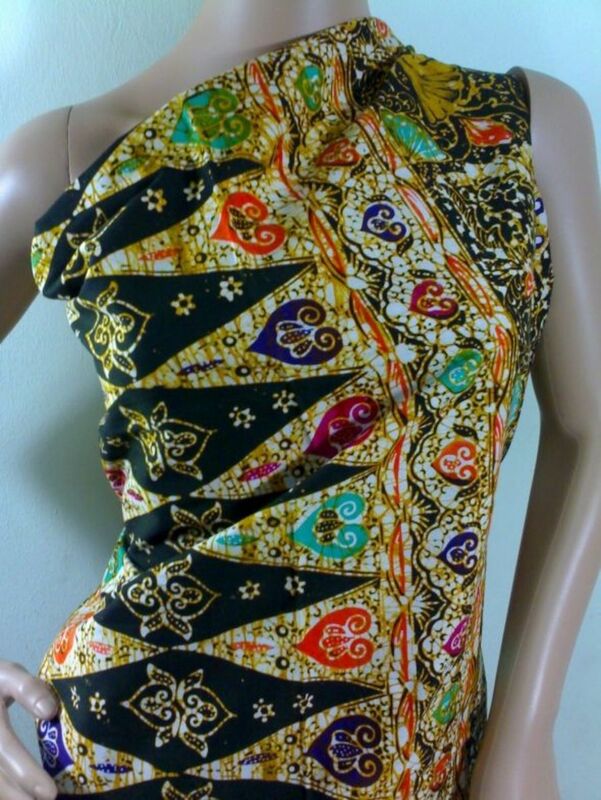 Our online BatikKaftanCrafts.com online store offers quality Batik Sarongs and Kaftans products at USD23 free shipping - no hidden shipping fee, logistic or other fees. 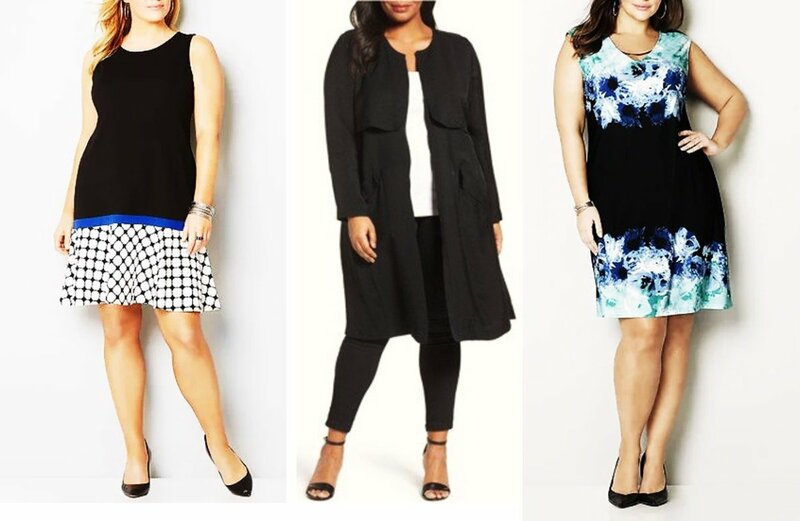 That's all you need to pay as we offer free shipping right to your doorstep. 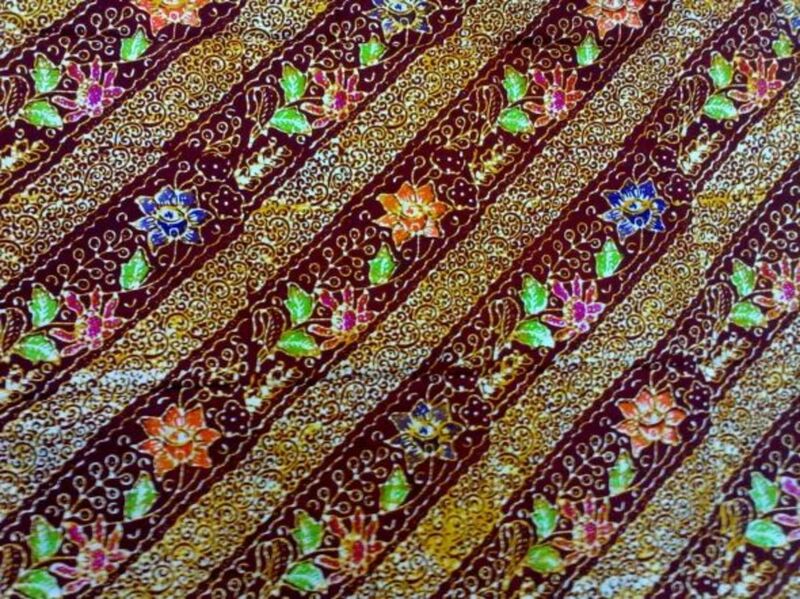 Visit our online store at http://www.batikkaftancrafts.com now! For those of you afraid of not securing your sarong good enough, tying it with the help of buckle is a definite option. If you are unable to find a suitable buckle, just use your existing belt. A thin narrow ones will work wonders. 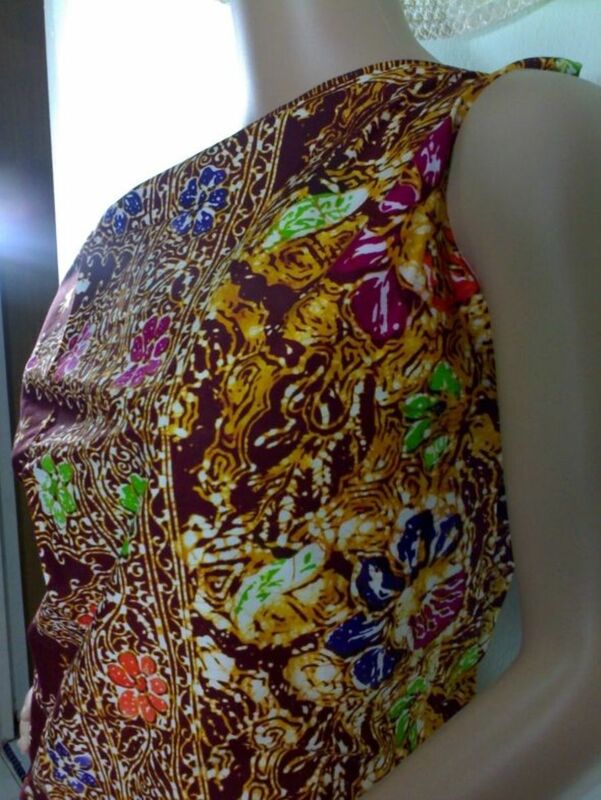 Would You Try a Batik Sarong? 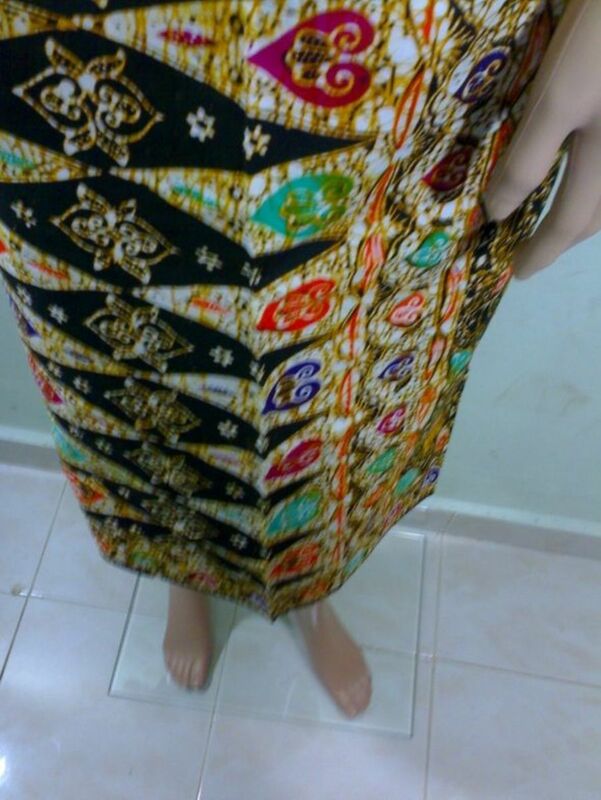 What Do You Think of Batik Sarong?